There are bronchioles in your lungs for the passage of air. Bronchiectasis is a disease which is caused by the over widening of these airways. This allow more mucous to pas which causes severe infections in lungs. 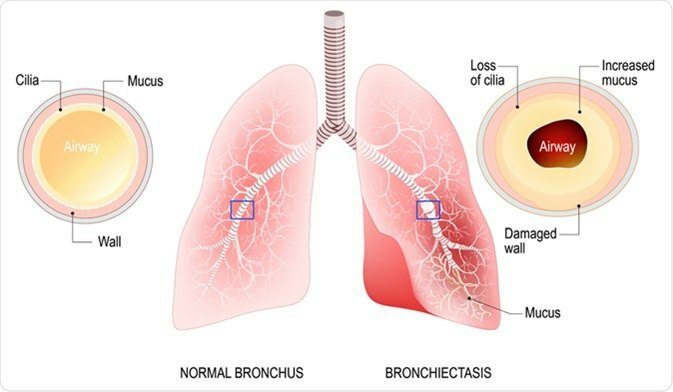 Our Chinese and Pakistani specialist doctors providing� Bronchiectasis treatment in Lahore by Chinese treatment methods. For more information or Appointment call us 03171172688 or live chat with our experts…! When You Need to Consult With a Doctor? If you do not have Bronchiectasis in your medical history and do not experience it then it is possible that you have persistent cough. Visit Physiotherapy hospital for Bronchiectasis treatment in Lahore in the early stage for better treatment options. It is not such serious condition but it can be serious if you do not get Bronchiectasis treatment on time. Doctor may investigate more and do more diagnosis to find out the most common underlying cause. If you have already experienced the symptoms in past and you again starting observing the symptoms then it is something bad for you. We have Chinese specialist who have a very good experience in their field and work. They will efficiently treat your condition. Some of the antibiotics might also be used for the cure. There first goal will to treat the cause and stop the symptoms. Your skin and lips can turn into blue. Coughing which clears the lungs. Fast breathing approximately 25 breaths per minute. If you experience any of the above symptoms and condition just contact us. Our online staff is always available for your help and guidance. Get your appointment with doctor. Bronchiectasis treatment will be very beneficial for you. This is very serious condition if you do not get treatment on time. If you have the following conditions in your childhood then you have chances of getting Bronchiectasis. If your immune system got weak then it may makes lungs much vulnerable to make tissues damage. The weakness of immune system is known as immunodeficiency disease in medical terms. Some people born with the weakness of immune deficiency as they inherit it form their parents. If you have HIV then you also have chances of getting immunodeficiency.